There are many ways to give. You can donate directly to our many individual programs, supporting our many fundraising events and even providing gifts ‘in-kind’, such as operable vehicles, appliances, furnishings, etc. For over 40 years, TrueNorth Wellness Services has been providing our communities with behavioral health and wellness programs. As a result of our exceptional reputation and proven success, our organization has grown substantially over the years — now employing 450 individuals, operating eight offices spanning seven counties throughout Central Pennsylvania and providing services to over 24,000 clients. 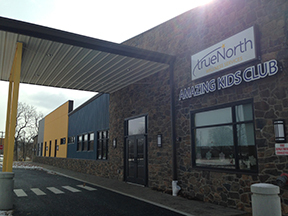 Over 80% of our clients are on Medical Assistance or County Assistance, so without organizations like TrueNorth Wellness, they would be unable to afford treatment. 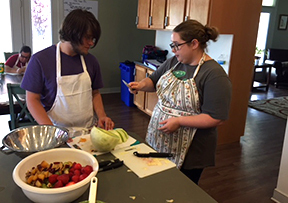 As a non-profit, TrueNorth Wellness relies heavily on federal, state and local funding, thus working on a very limited budget. Oftentimes we recognize a need, but are unable to fulfill it due to a lack of funds. 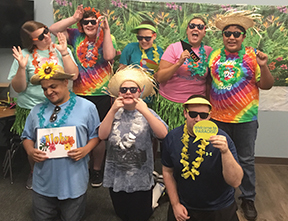 Our new Amazing Kids Club Autism Center opened its doors to clients and families in January 2017 and we were able to completely eliminate our 80-person wait list. We embarked on a $3.3 million campaign to fund the project and have received strong community support. We’ve raised $2.3 million; however, $1 million is still needed to cover the costs of this essential community project. Our autism program provides services to children with Autism Spectrum Disorder and/or Social Pragmatic Communication Disorder. If you have any experience with this disorder, you are already aware that specially-designed environments can result in significant behavioral improvements and can help reduce sensory stimuli and minimize unnecessary stress. Ample space, modified lighting, and intentionally planned rooms allow the children and adolescents the opportunity to focus better, learn new skills more effectively, and achieve better treatment outcomes. Did you know that our Amazing Kids Club (AKC) Autism Center qualifies as an educational improvement tax credit program? EITC provides companies with a 75% tax credit for donations to a non-profit and the tax credit increases to 90% if the company commits to making the same donations for two consecutive years. A business paying taxes in PA can receive up to $750,000 in tax credits annually and $200,000 for the Pre-K program.